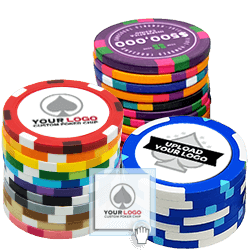 When using our state-of-the-art online design system, you see your Personalized Poker Chip Sets in real time, expediting production and shipping! Customize your Gold Ribbon Poker Chip Set online FREE! 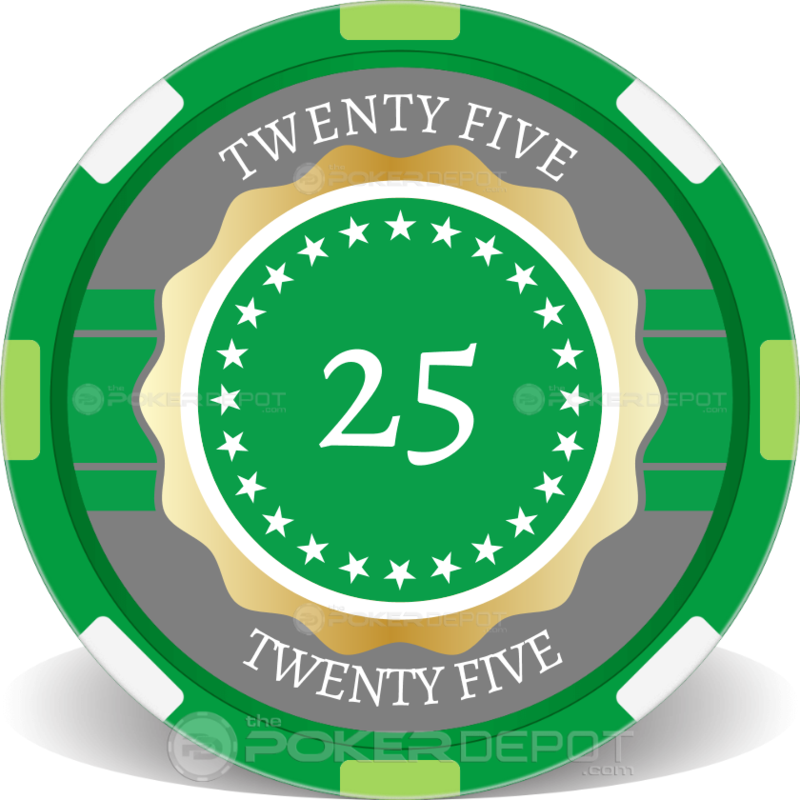 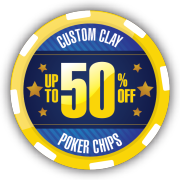 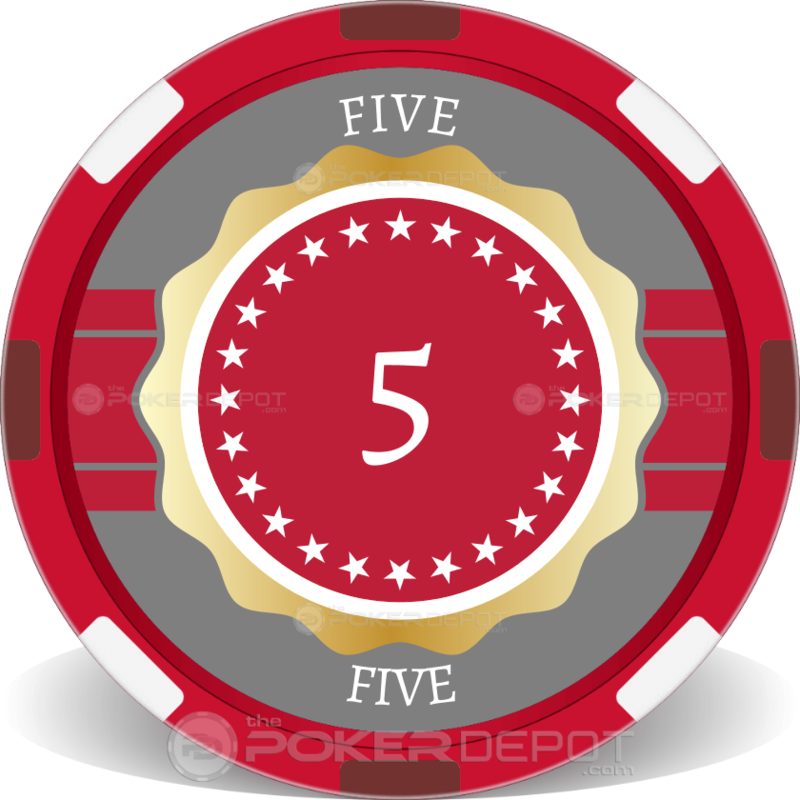 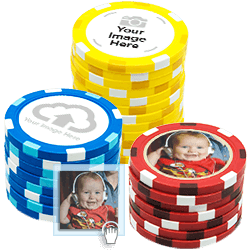 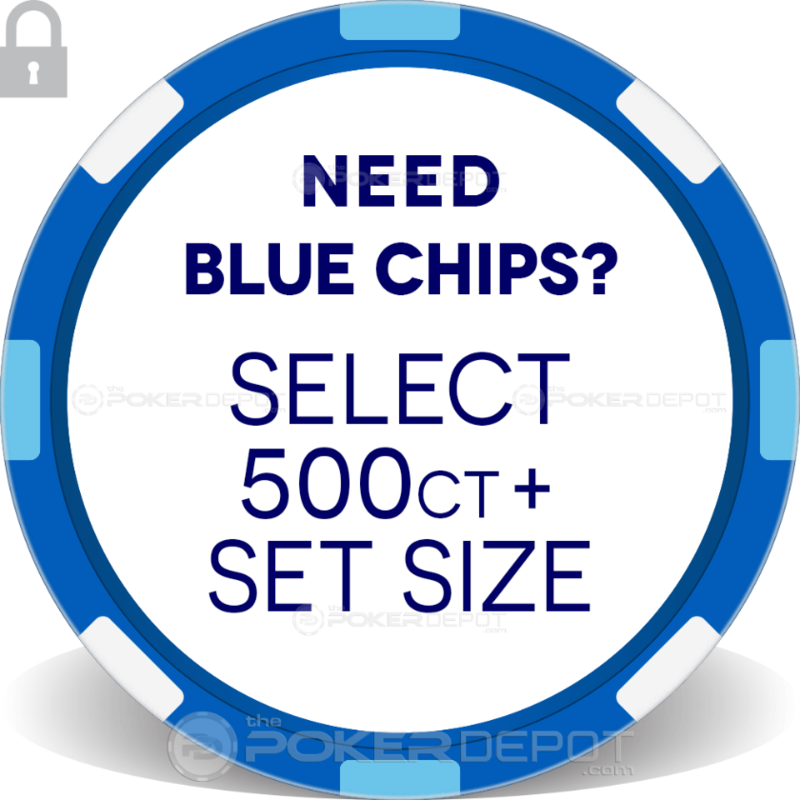 Customize your Poker Chip Set by personalizing the text and uploading custom poker chip designs, photos and graphics. 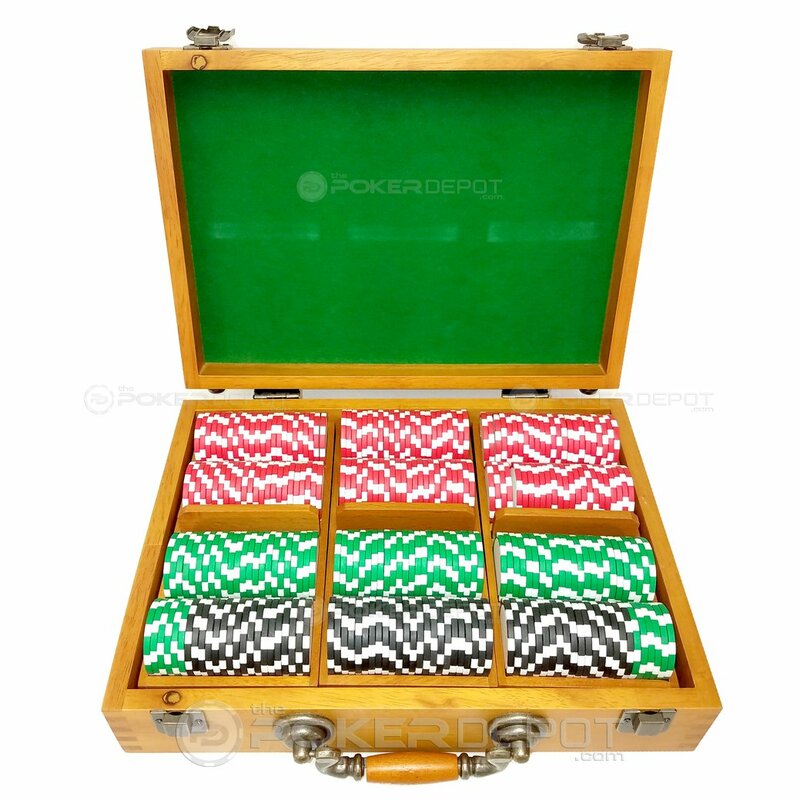 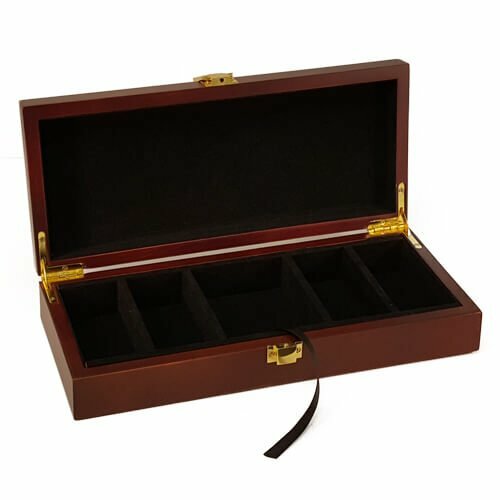 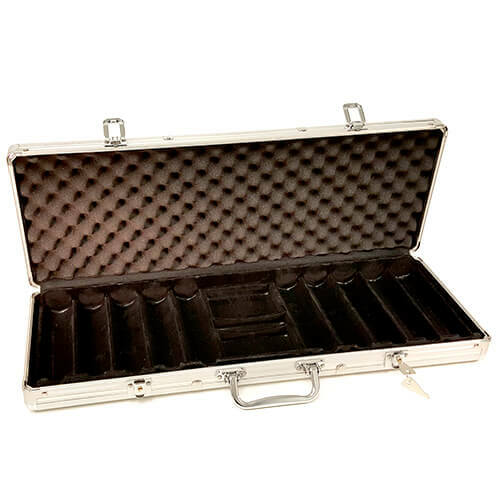 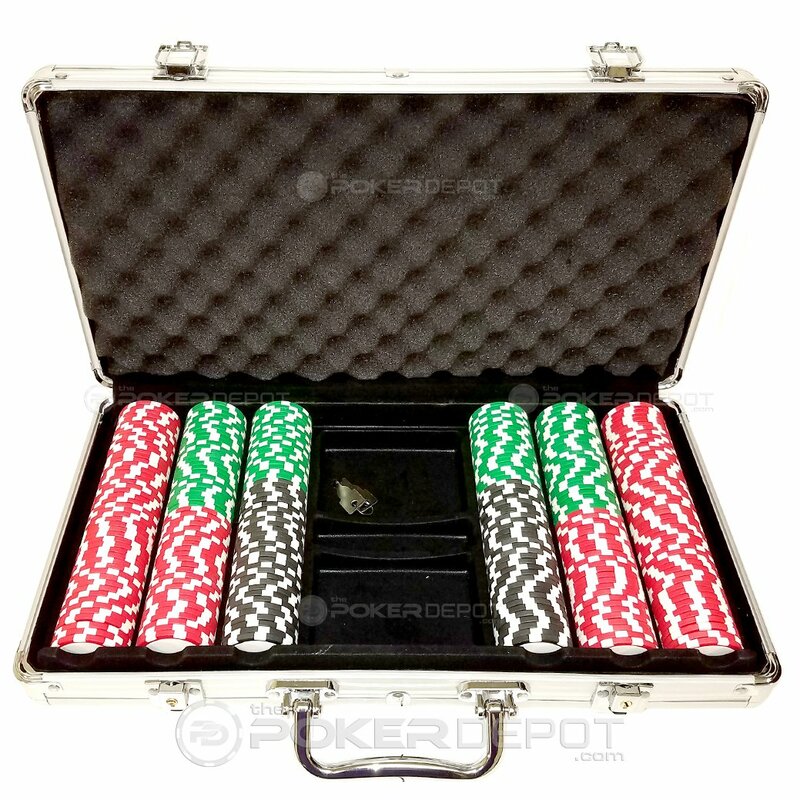 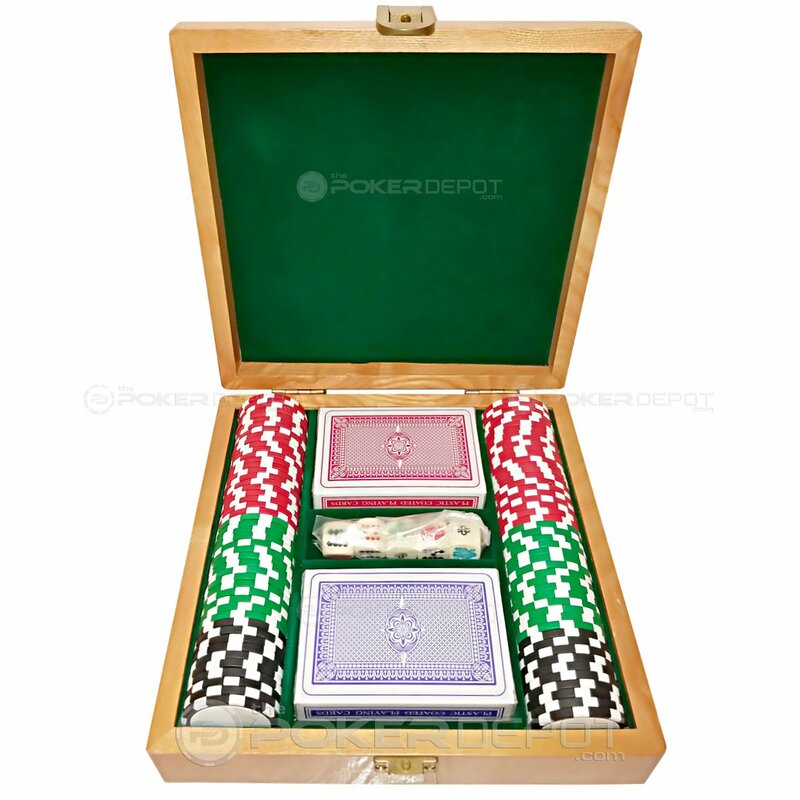 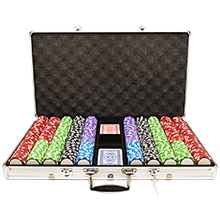 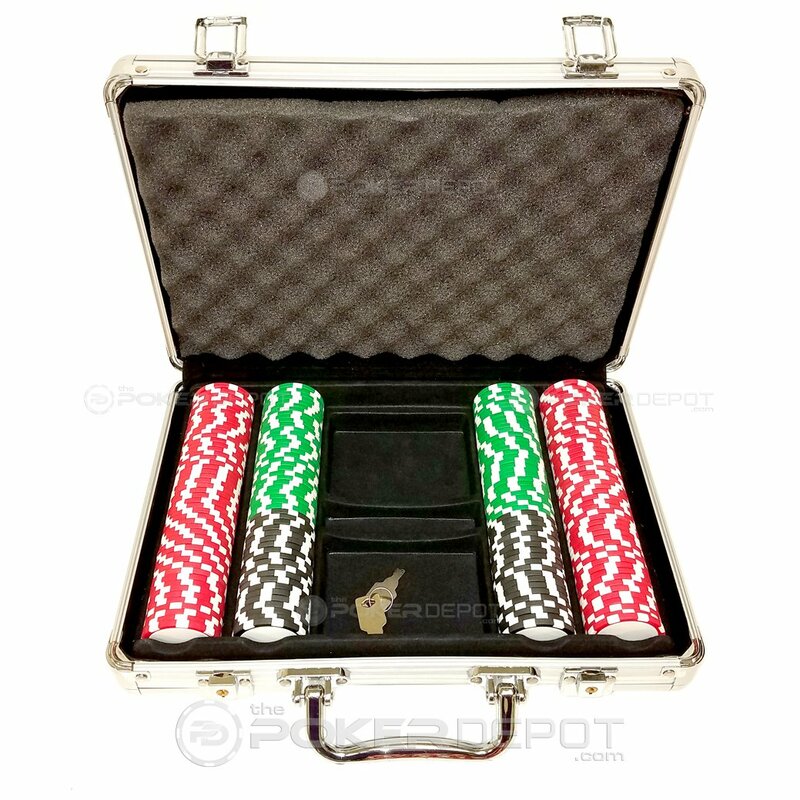 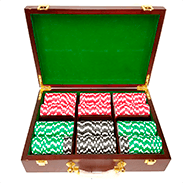 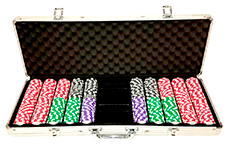 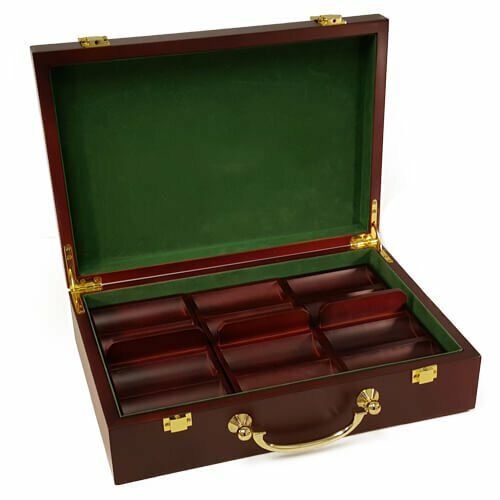 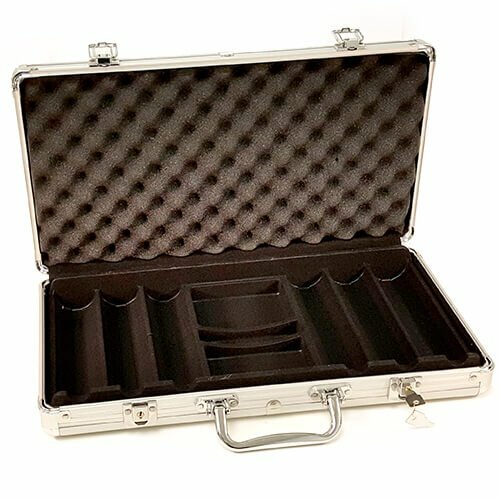 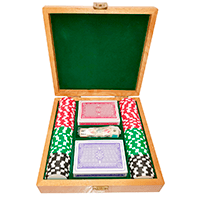 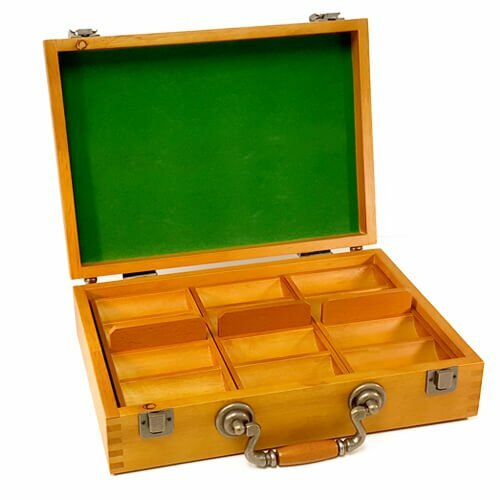 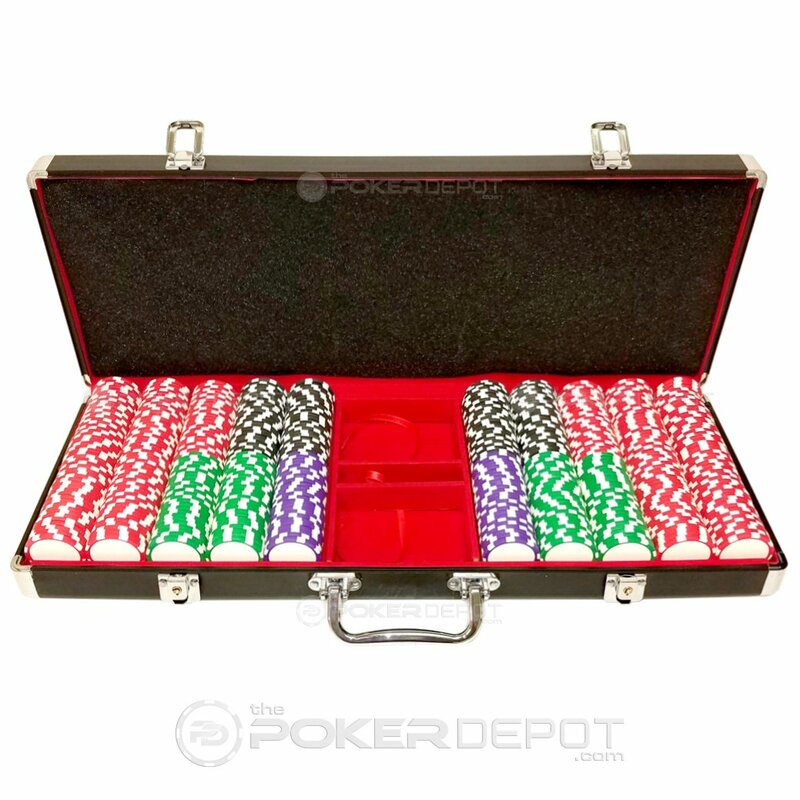 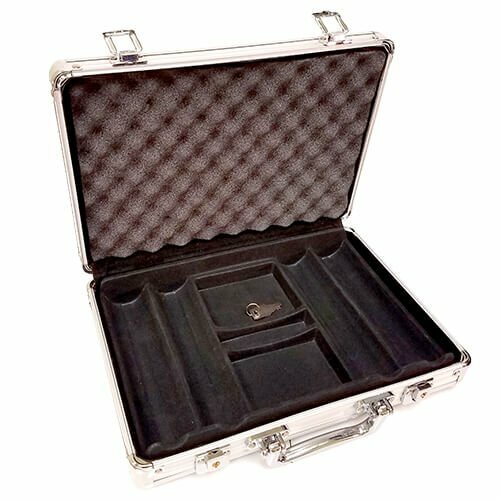 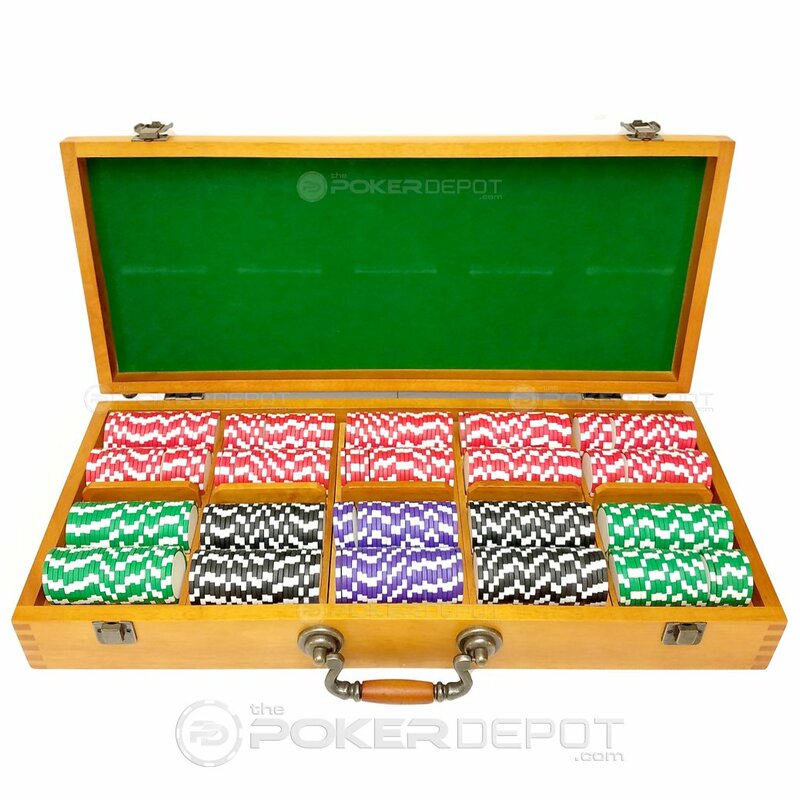 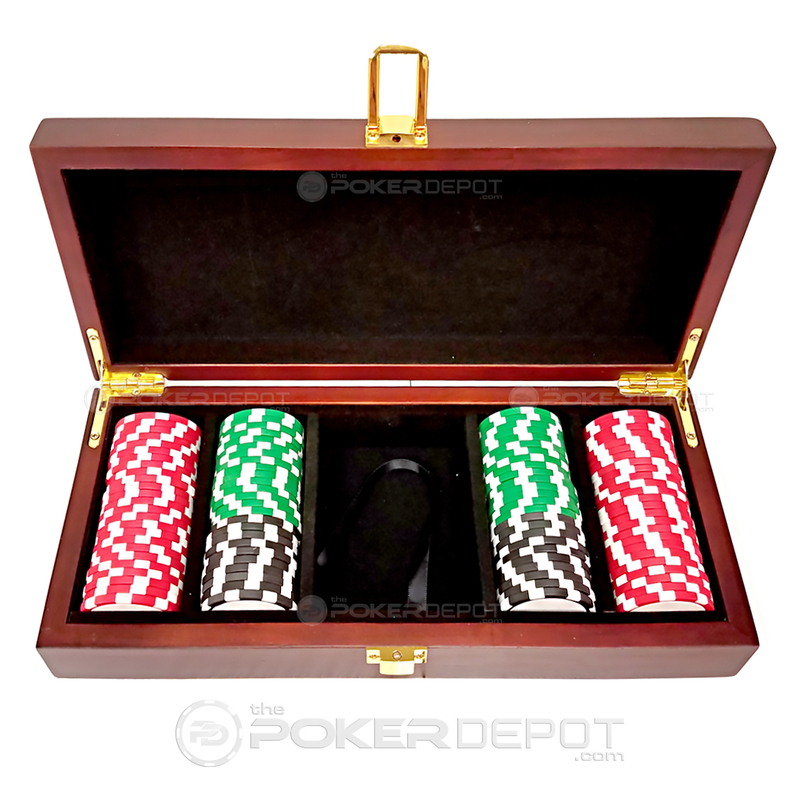 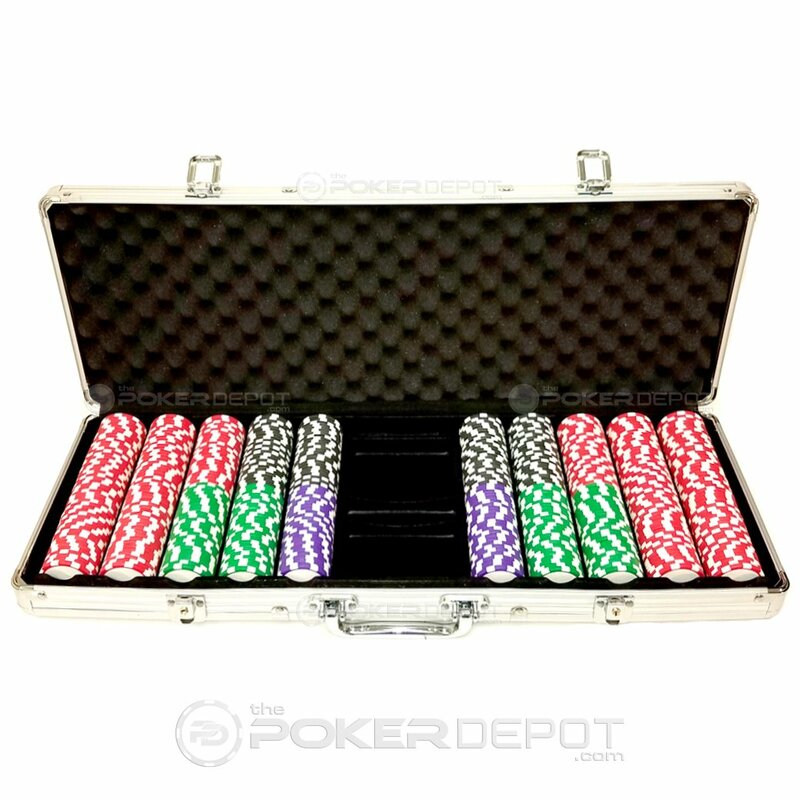 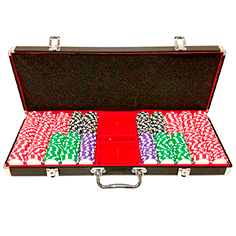 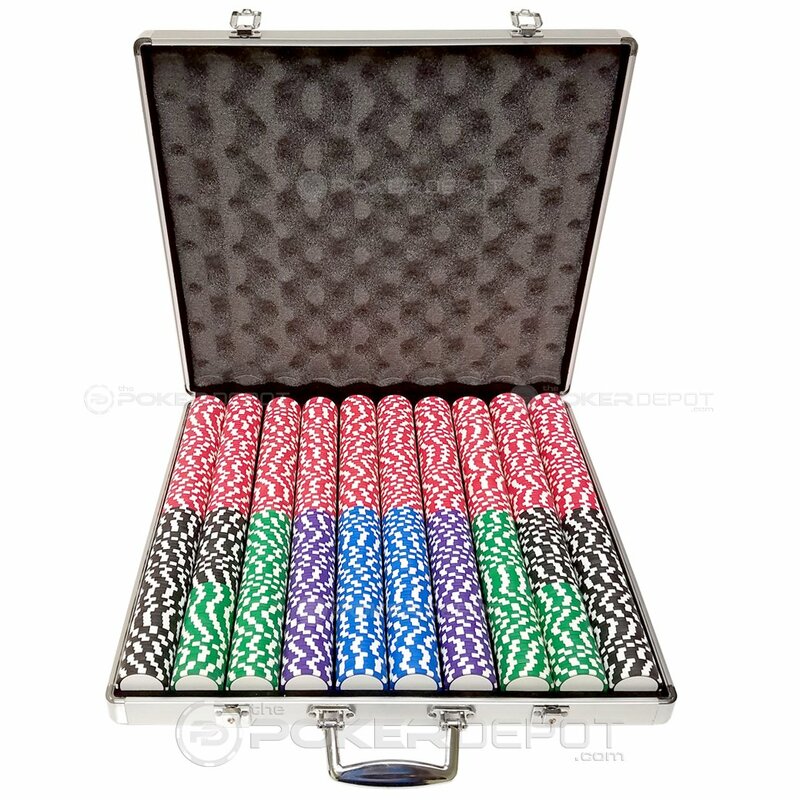 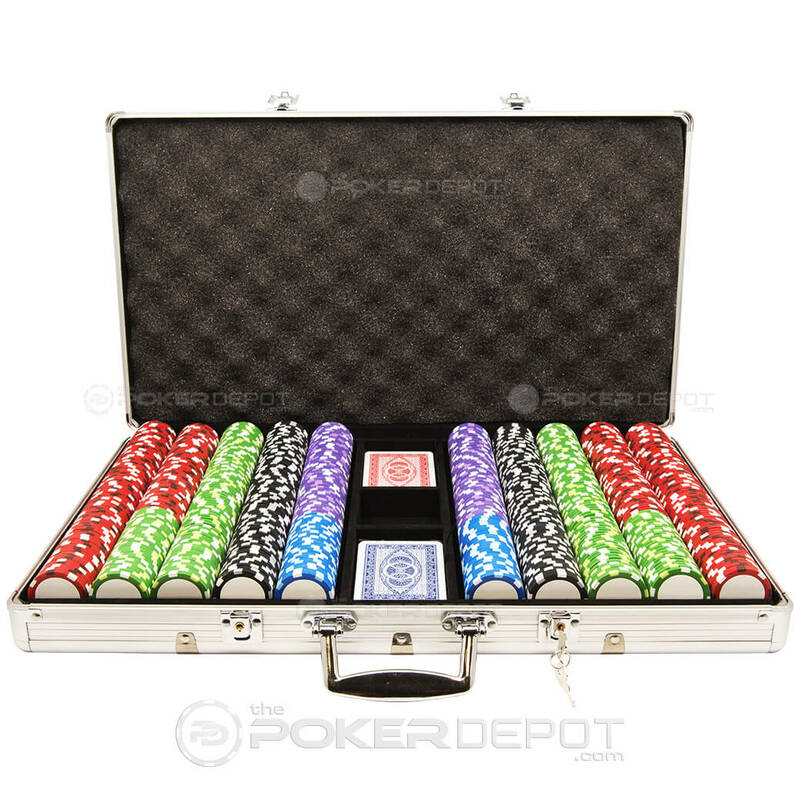 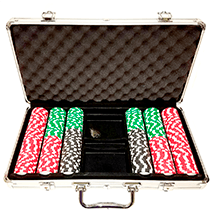 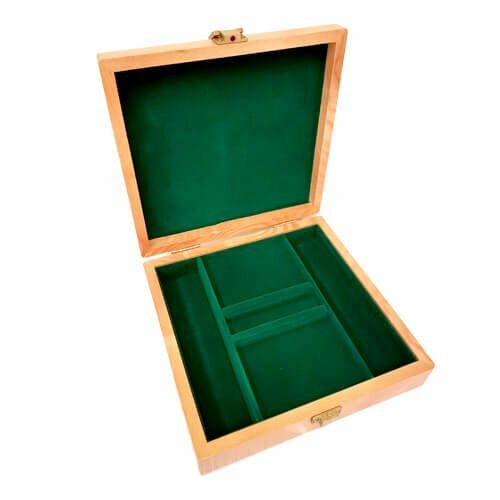 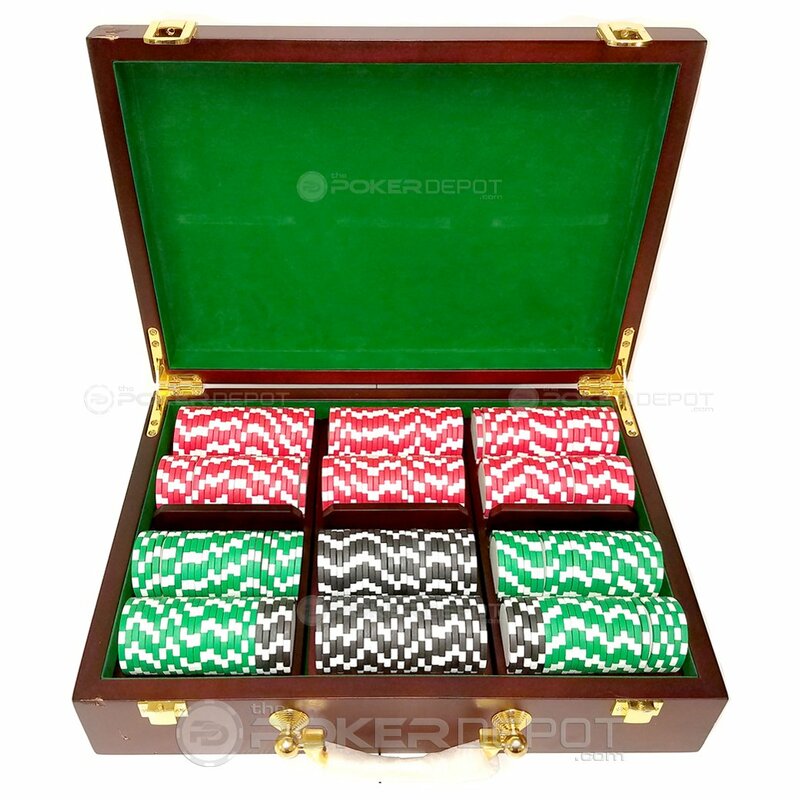 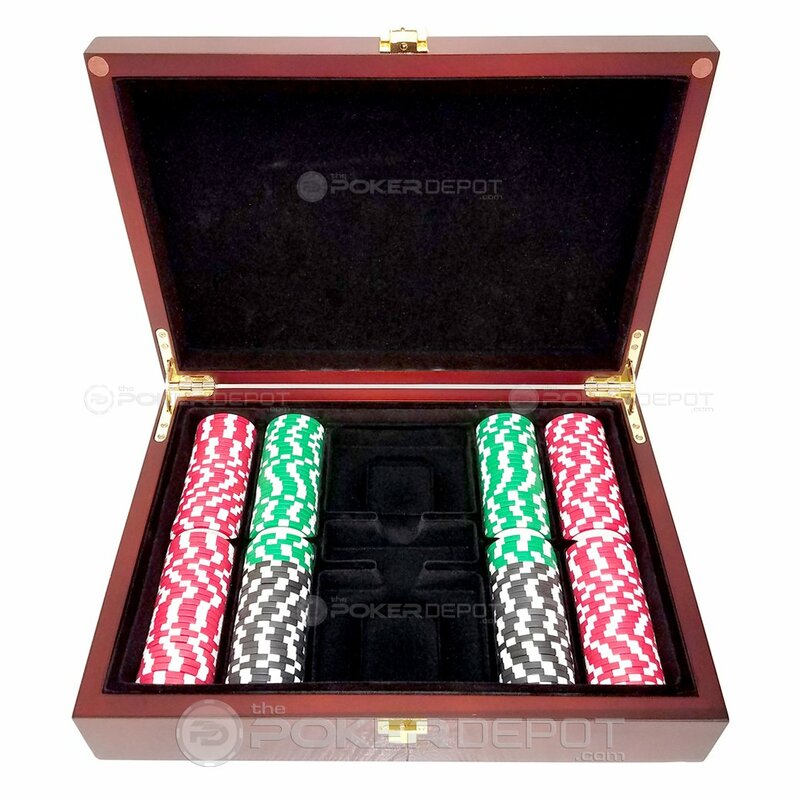 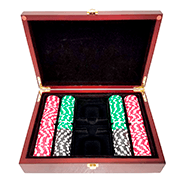 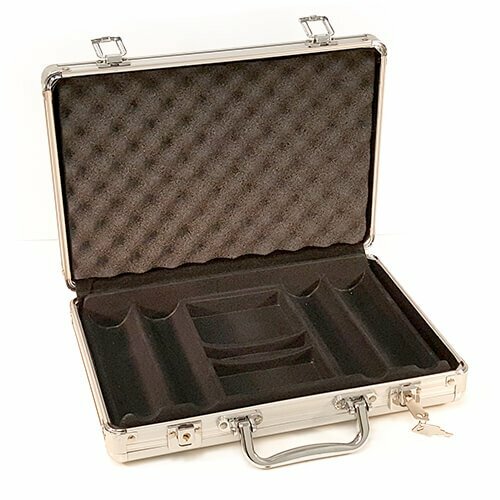 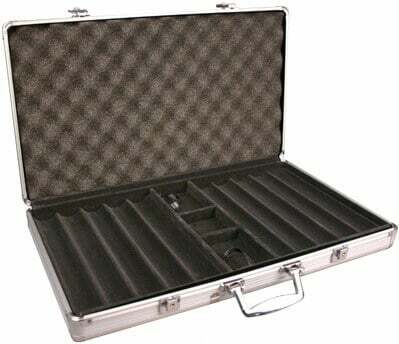 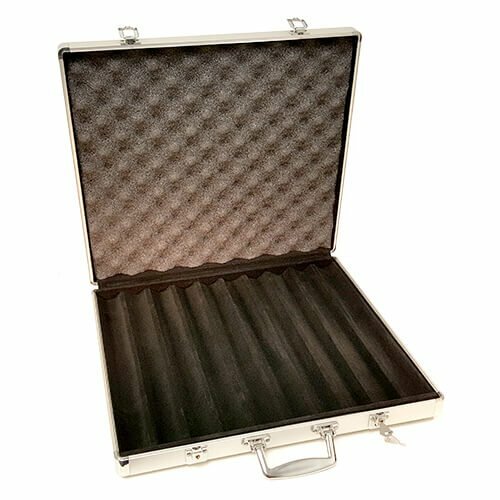 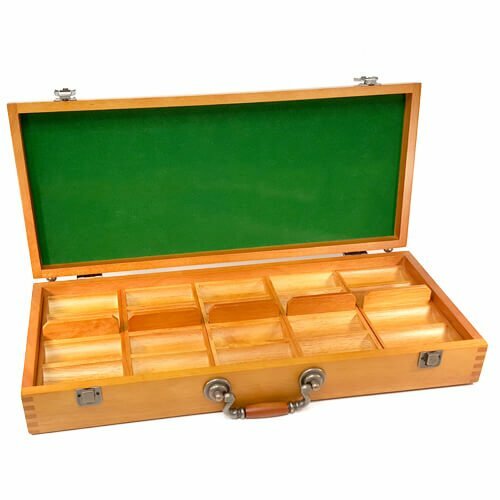 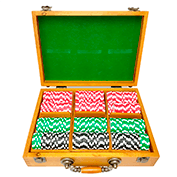 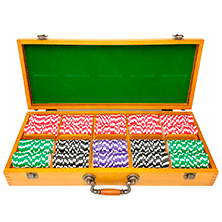 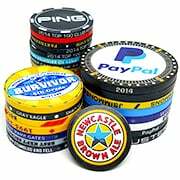 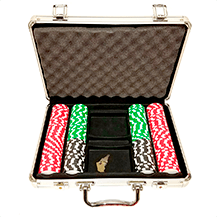 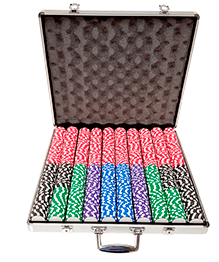 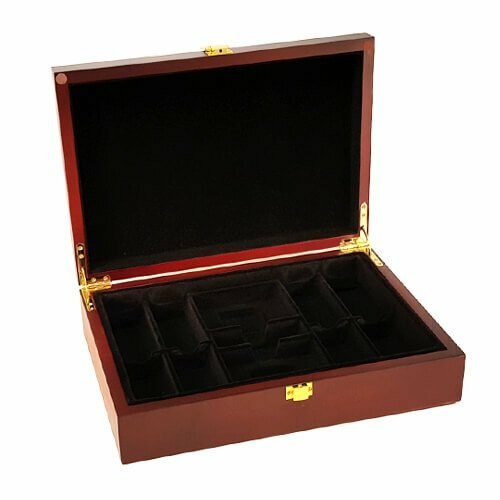 Choose from Aluminum, Mahogany, Oak Wood and Black Aluminum Poker Chip Set Cases for your custom Clay Poker Chip Sets. 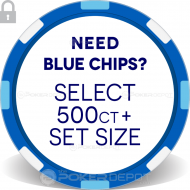 Check our frequently asked questions (FAQ) page or CHAT now with one of our representatives if you have any questions about your Gold Ribbon Poker Chip Set. 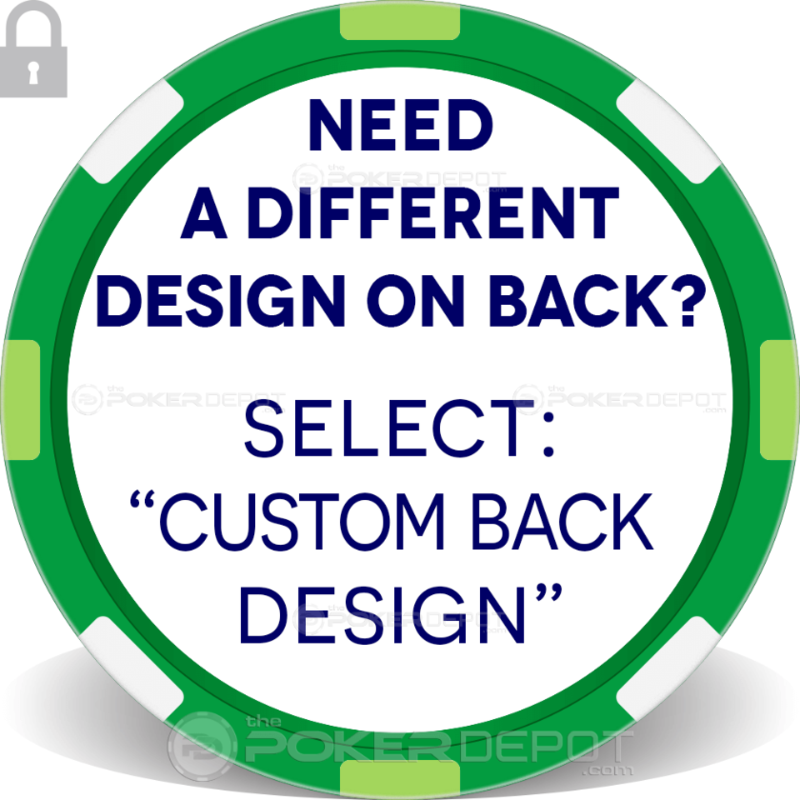 If you need help from our Custom Poker Chip Design Team, select a Professional Design option below!